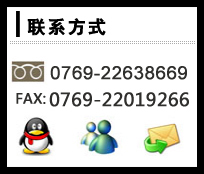 TONGBA photographic equipment Co., LTD. is located in the" made in China" the core region of Dongcheng District, Dongguan ，Guangdong Province .Adjacent to exit of Dongguan downtown of Guanshen high speed, traffic is very convenient. It was registered in 2004, "TONBA" "通霸" as the trademark. It is specializing in design, production, sales in the integration of enterprises, the leading products for professional photography bags, tripod, photography vest, lens cleaner liquid, lens pen and other professional photographic equipment accessories. After several years of efforts, the company scale expands unceasingly, the production craft also comprehensively promotes. We have the professional design and development staff, the model of an independent production workshops, more than 60 sets of advanced processing equipments and production lines, with rich technical force, nearly 100 skilled technical workers, comprehensively implement ISO9001: the 2008 international quality system standard. We are also constantly upgrading ourselves and to be prepared to listen to your suggestions, we are firmly convinced that there is no best, only better! We treat the quality for the value, depending on the market is alife, continuously improve our service and quality. Through comprehensive market research, fully understand customers needs, thus making transfer customer satisfaction products, professional fashion design idea, pilotage before traditional cameras surrounding supplies into popular areas, launched the global brand operation begun! Wish our products with you around the world!